Level Cheats for Words Story Day 21 – 40 Answers – Tap letters to spell a mystery word, remember that extra words with color clues display in clue list where Yellow is correct letter in wrong place and Blue is correct letter in correct place, also White is letter not in mystery word. This word game is quite easy to solve, but if you stuck.. then follow the words story solutions below ! Words Story – Addictive Word Game by Great Puzzle Games available on iPhone, iPad, iPod Touch, Android devices. 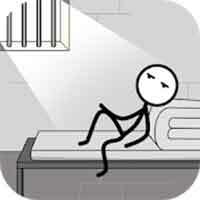 This is a word game about a man escape from prison. A man is framed and imprisoned, but he never gives up and plans to self-salvation. Persevere, day after day, year after year. Hope can set him free. Finally, he can take the breath of freedom. Return to all levels of Word Story Answers !